Wish you could still sail on the “newest, longest liner afloat”? 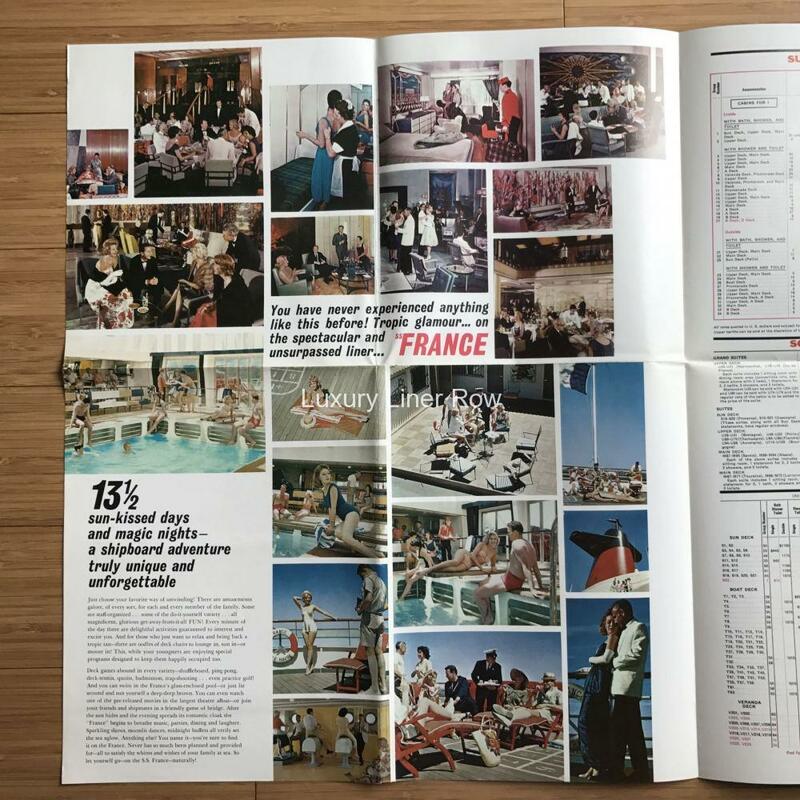 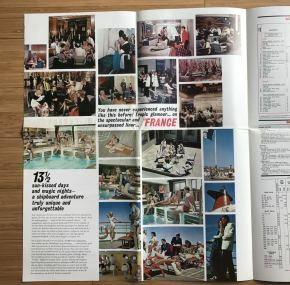 The ss France was a masterpiece, and this brochure shows it. 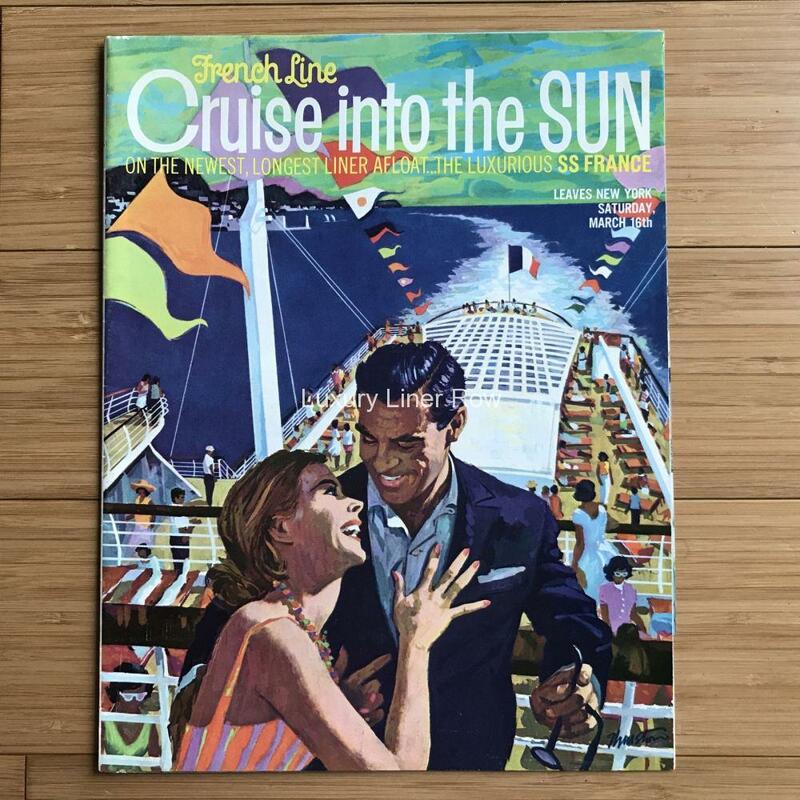 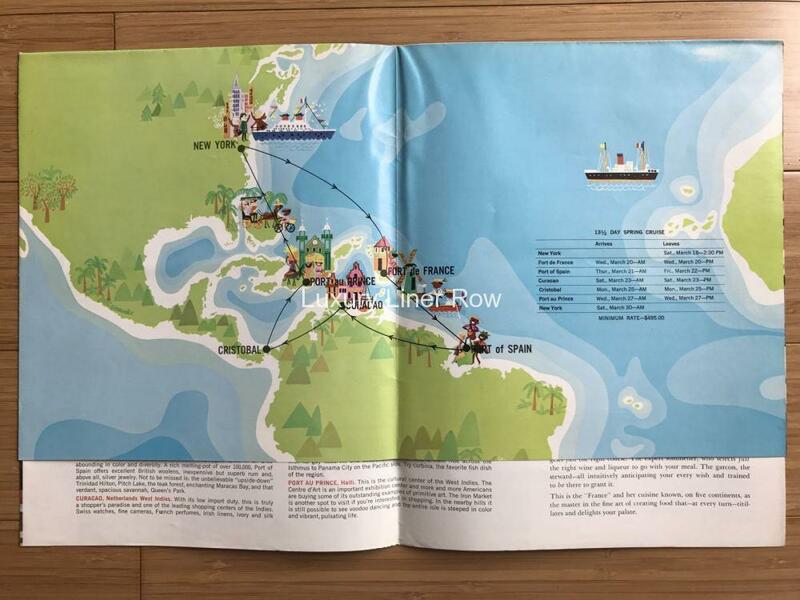 When unfolded, it is filled with glossy color images of life on board. 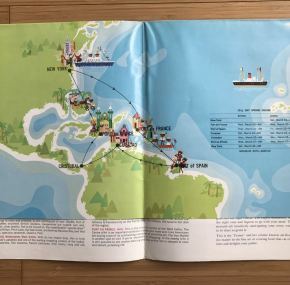 In very good condition with two small holes on the back cover.